Have you seen Pottery Barn's Christmas display yet? I'm really loving Pottery Barn's theme this year that involves lots of burlap, old sheet music, and German glass glitter. 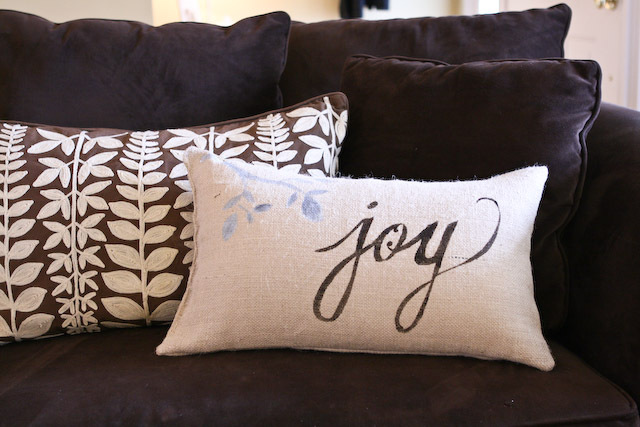 I saw this pillow there yesterday when my mom and I were browsing and decided I wanted to make a simpler design of the same idea, but with the word "joy" instead. So first, I made a pillow cover out of some burlap I had left over from another project. You can make your pillow any size. Just make sure there's at least one open end and you haven't stuffed your pillow inside yet. 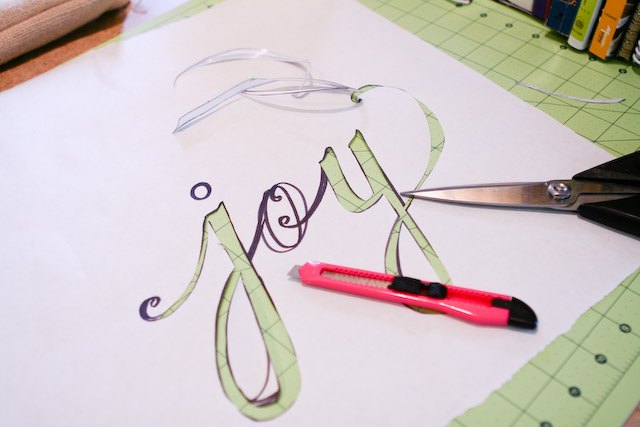 Next, cut out the letters with an x-acto knife. Depending on how many letters you use, this can be a super tedious step. That's why I like to keep it short! 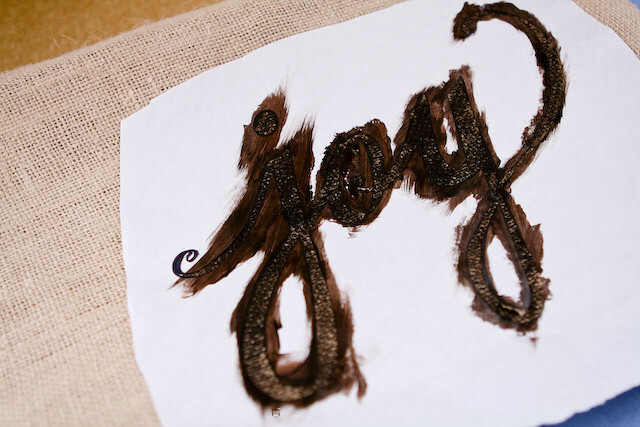 You could even do one monogrammed letter this way. 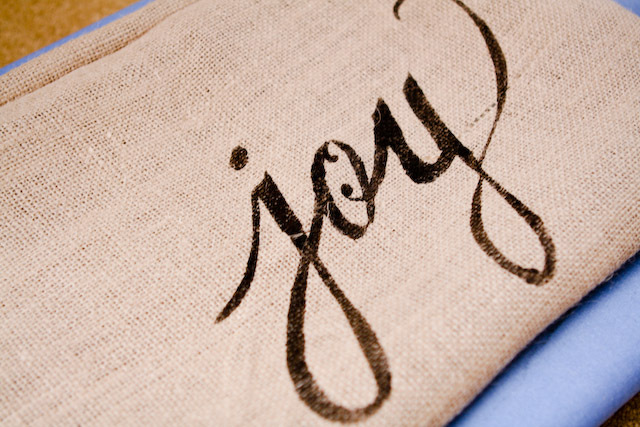 Once you've gotten the word or design cut out, iron the freezer paper onto the pillow. Then, make sure there's a piece of paper or cardboard inside the pillow so the paint doesn't bleed through to the other side. Then paint! I used a chocolate brown acrylic paint. 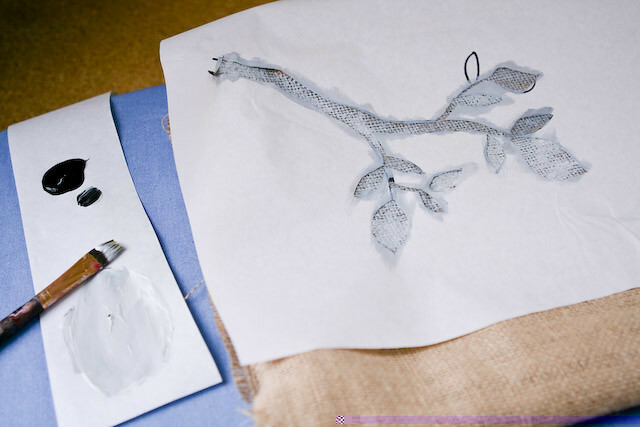 Once painted, let it dry completely before peeling off the freezer paper to reveal your design. 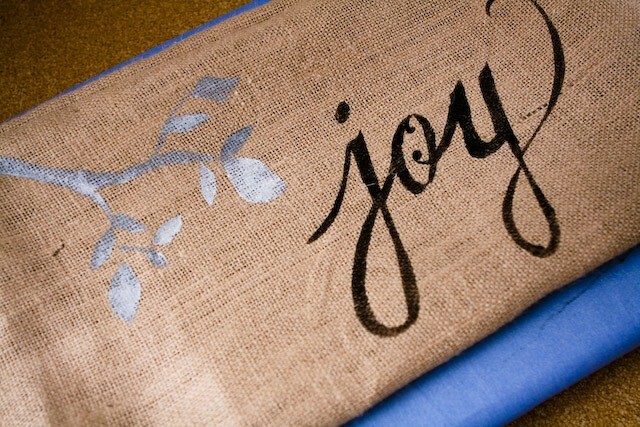 The "joy" was looking a little bare, so I added a branch in the same exact way, using freezer paper and paint. Stuff your pillow form inside and voila! A pretty, yet understated, Christmas pillow. Happy, happy day. This project ended up costing me $0 because I already had the burlap as well as a pillow that needed a new cover. 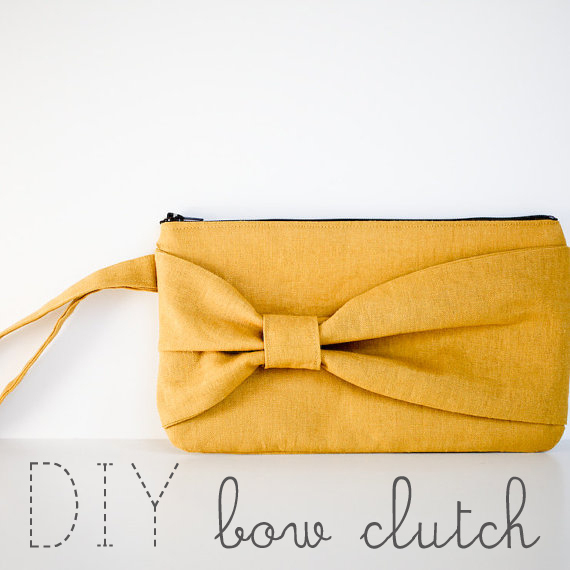 But even if you had to buy all the supplies from scratch, you'd spill spend waaaay less than that $49 price tag! Ohh my goodness, that's beautiful. I'm so tempted to try this! And anything resembling PB without it's price is right up my alley! That is so cute! I love the font and the combination of styles and textures. nicely done! 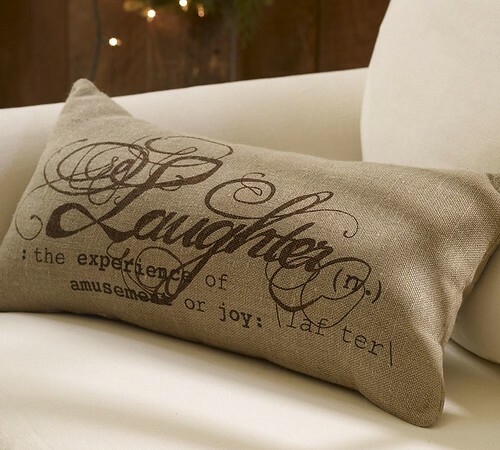 if your handwriting was a font i'd use it~ beautiful pillow and beautiful reminder to have joy! thanks for sharing your talent! Wow, your handwriting is so beautiful. I definitely want to try this idea. Thanks for sharing! Whitney, you could sell these!! How cute and rustic! 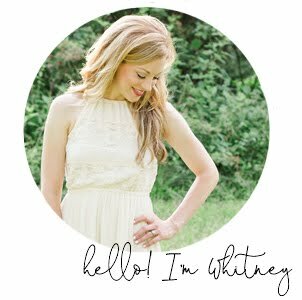 Hi Whitney, I am so happy to have found your blog--(thru summer's)! I too am a TN girl--just moved to Chattanooga area a year ago. It is beautiful here. Anyway, I love this pillow! I have had my eye on this from the PB catalogue and some Christmas ones. I am so excited to use your techniques! I am now on the lookout for cute christmas placemats (brilliant idea) and burlap:) I will post about this and give you credit! 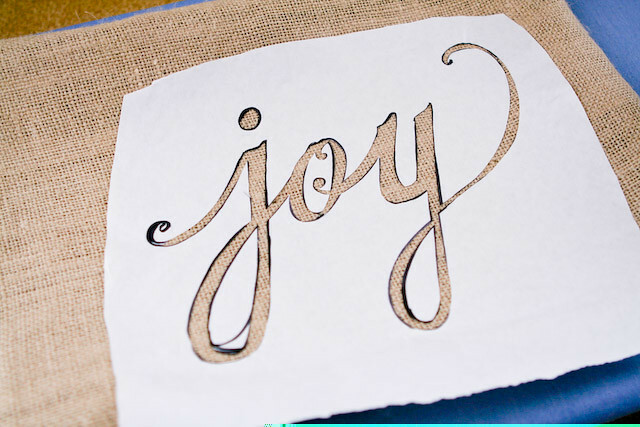 I really love your blog and find it so inspiring both artistically and spiritually. Thank you for taking the time! I LOVE the Pottery Barn knock off pillow...it's SO cute! I just found your blog...a friend told me I would love it. And after reading back through even this first page of posts, I know it's true. Adding your blog to the Google reader, and know I'm encouraged by your words, even my first time here! 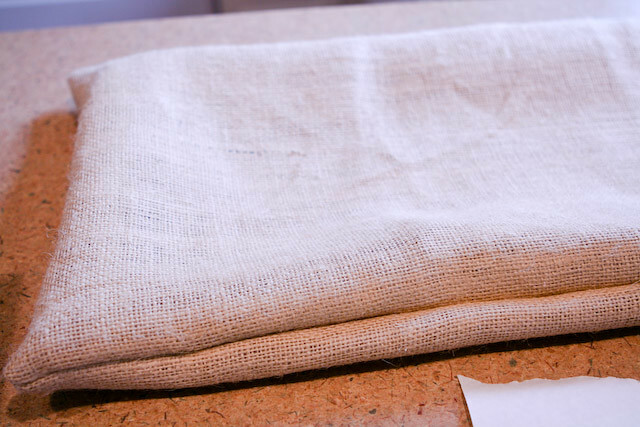 i can't wait to attempt something like your pillow with burlap! i never thought of painting on it!